Thera is a charitable group of companies which support people with a learning disability with a diverse range of needs in the UK. Making sure that they have a right proportion of quantitative and qualitative data, case studies, pictures, etc. Presenting a nicely designed report. Getting the support of an external organisation, with expertise in impact measurement and social investment, can be very helpful in this process. For the second consecutive year, Investing for Good has produced Thera’s social impact report in 2018. 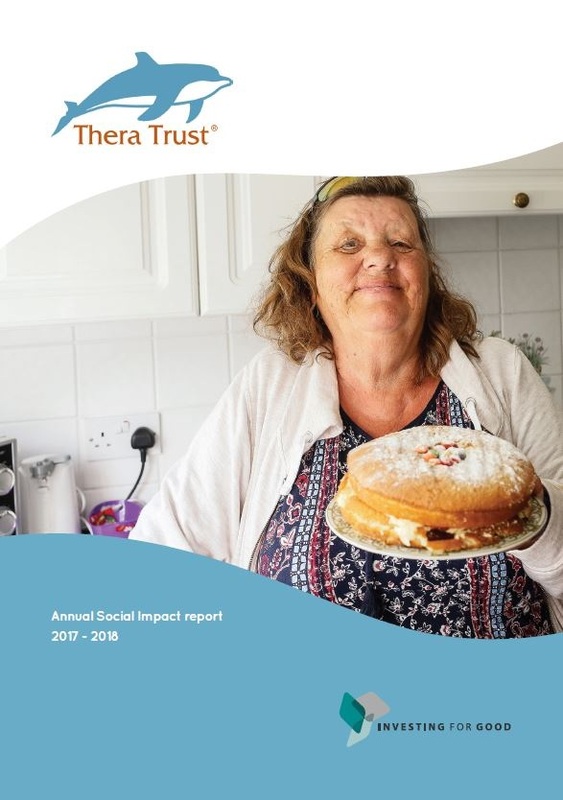 In addition to supporting Thera in the definition of the reports’ structure, content and design, Investing for Good analysed Thera’s data and gave a “Social Impact and Financial Confidence score”. Our scoring system is based on the Good Analyst methodology, that has undergone many years of application and refinement and assesses the quality of the impact and financial proposition. These Social Impact Reports are publicly available and many are required by social investors.